Thinking about starting your very own wine collection is new and exciting territory. However, it can get quite intimidating as well. The great number of wine collecting paraphernalia and equipment, plus the range of choices available in the market can overwhelm any first-timer. Before you get drowned in a sea of choices, let’s put first things first. In order to start a proper wine collection, you need proper wine storage. This can be achieved in a Texas wine cellar that occupies the basement or any area of your house, or it can be as simple as a refrigerated wine cabinet. For beginners in the wine collecting business and for those who plan to collect only a few bottles, wine cabinets are the best choice. There are many advantages to owning a wine cabinet. As mentioned, it’s great for those who are beginning to grow their wine collection. It’s time to move your bottles of vintage from that cardboard in the closet to a quality wine cabinet where they can be kept safe. Like wine cellars, refrigerated wine cabinets are designed to maintain the ideal storage conditions needed for proper aging of wine. In a wine cabinet, you can be assured that your bottles are in no danger of getting knocked over or damaged, as wine cabinets have compartments for each individual bottle. There, they can fit snugly without rolling about. Of course, compared to wine cellars, these wine cabinets are relatively inexpensive. You don’t want to spend all your money building a wine cellar because there are plenty of other items that you’ll need to purchase to complement your wine collection. Wine cabinets don’t take too much space. This works best for those who are living in small apartments, condominium units, or even houses with no more room to spare. A small space is no longer an excuse not to store and age fine wines. Some wine cabinets are also built with some excess storage space for keeping your wine glasses and other accessories such as cork screws. Imagine having all these in one accessible compartment. It also helps that wine cabinets are actually quite attractive. They come in a range of styles and designs to accentuate any room in your house. Most wine cabinets are wooden, but others are a little bit more on the modern side with their glass doors. In any case, it makes for a great conversation piece, especially if you position your wine cabinet in an area of your house where you entertain guests. 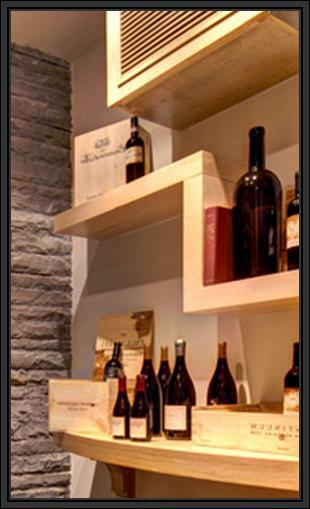 Some of the best Texas refrigerated wine storage cabinets are offered by Wine Cellar Specialists. Visit their website at http://www.winecellarspec.com/ or contact them at 866-646-7089.